Following the death of Capt. 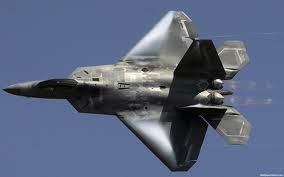 Jeff Haney, the grounding of the F-22 fleet, and the recent appearance of F-22 pilots on 60 Minutes another Raptor has been in the United States Air Force's most serious class of accident — a "Class A" mishap. Dave Majumdar at Flight reports the Lockheed Martin F-22 Raptor was flying from Tyndall AFB, in Florida during a training flight last Thursday when it suffered an accident resulting in at least $2 million worth of damage. According to Air Force Investigation Boards "Class A accidents are accidents that result in fatality or total permanent disability, loss of an aircraft, or property damage of $2 million or more."